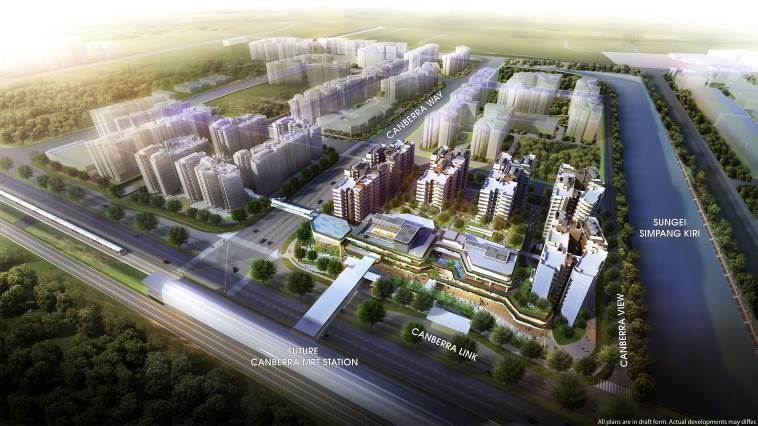 Good time to buy residential property Now? 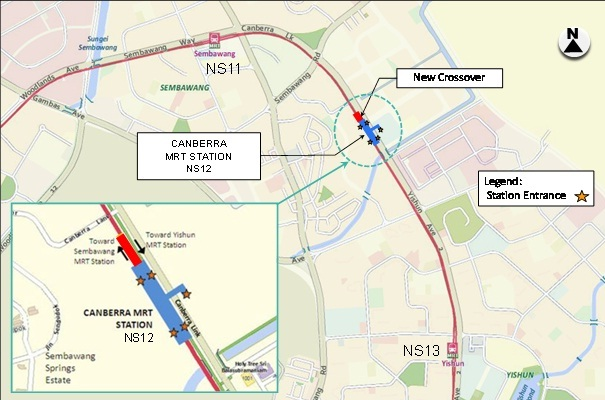 When the new Canberra MRT station opens in 2019, residents in the vicinity will have direct connection to the MRT network without the need to take a bus. 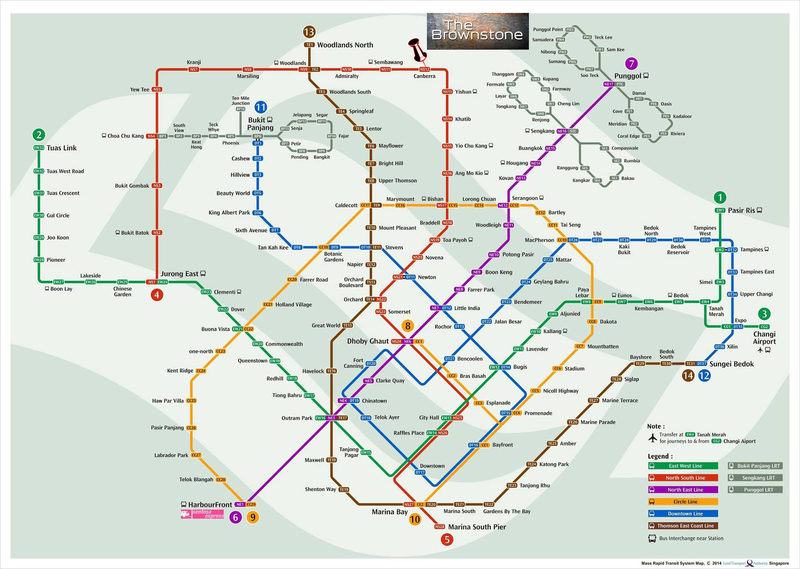 Commuters travelling towards the city centre or Jurong East via the North-South line will save up to 10 minutes of travelling time as they no longer require to transit at either Sembawang or Yishun MRT station. 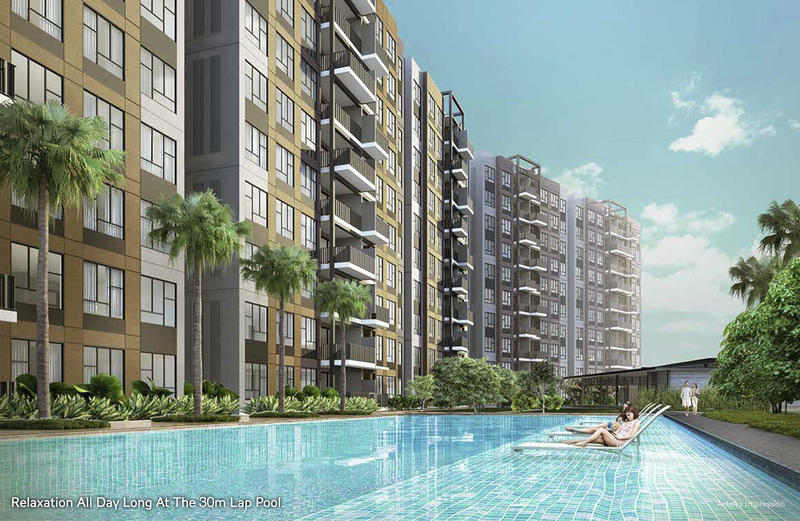 Developed by Singapore’s top private developer, with the most number of developments with BCA Green Mark Platinum Awards, CDL brings you yet another luxury executive condominium development – THE BROWNSTONE. The Brownstone is inspired by the rustic charm of New York Brownstone houses set in a contemporary context. With 8 blocks standing at 10-12 storeys tall, The Brownstone stands out amongst the surrounding developments with its brown sandstone-like texture facade and unique jetty balconies inspired by New York Brownstone row houses. 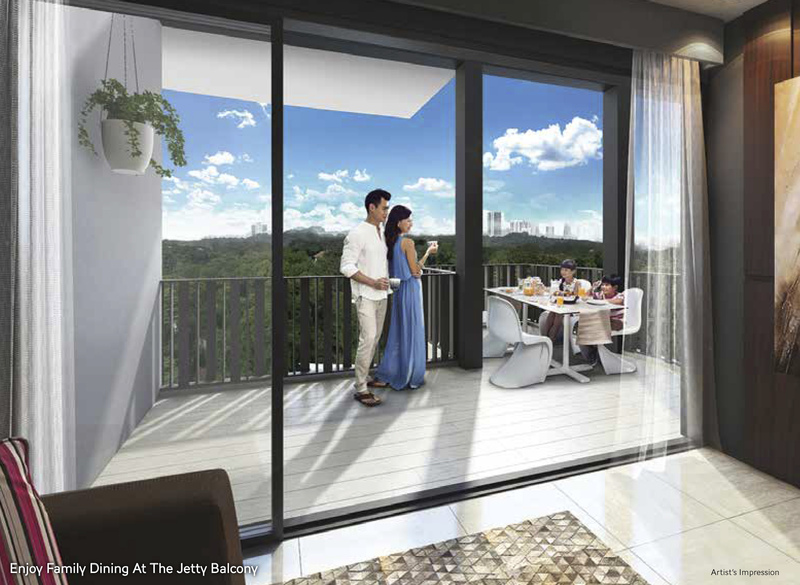 Enjoy beautiful views from your unique jetty balcony. Explore a world of enjoyment made for the whole family. 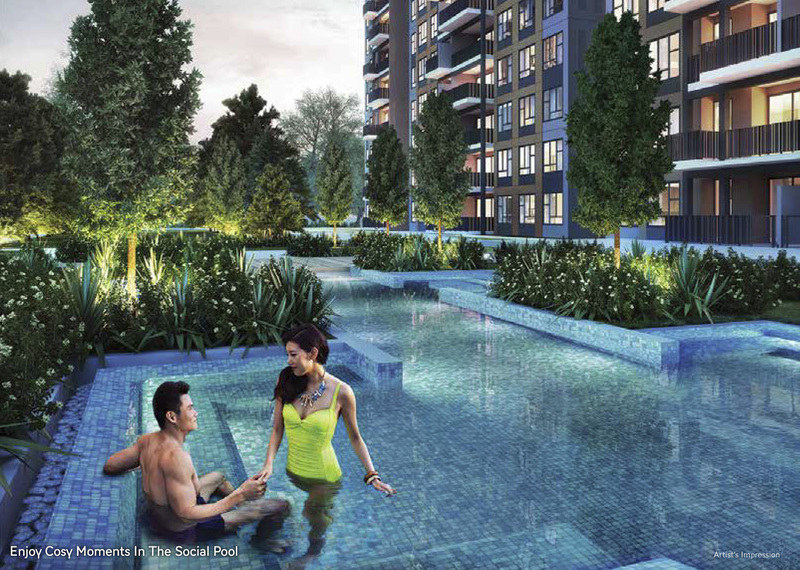 Indulge in the pool-view Clubhouse and Gymnasium, social gardens and luxurious pools. 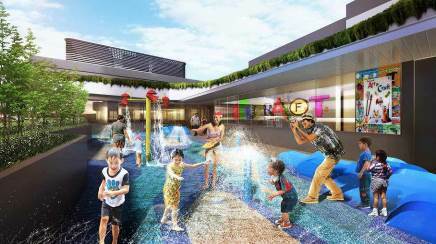 Countless hours of fun awaits at the Kiddie Splash Pool, Junior Skating Rink, Playground and more. Surrounding all these is a verdant landscape and a unique Lawn Vista for your quiet moment. 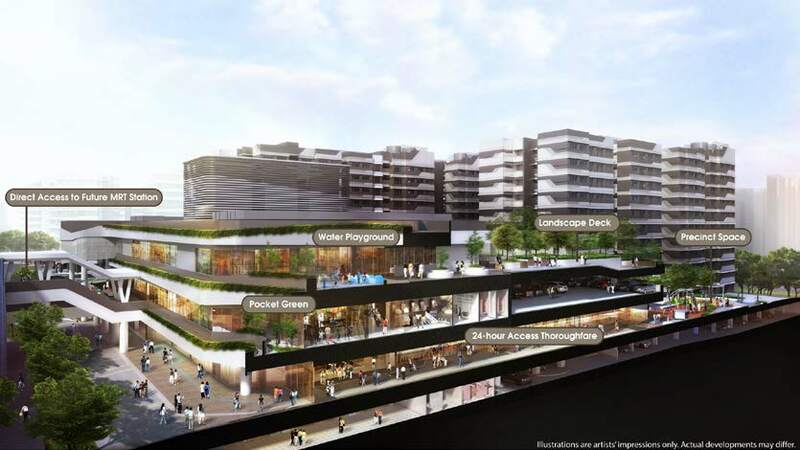 Located next to upcoming Canberra MRT station, Canberra Plaza is a 3-storey development which includes an event plaza, a water playground, a wide range of retail choices, food courts, restaurants, clinics, enrichment centres and a supermarket. 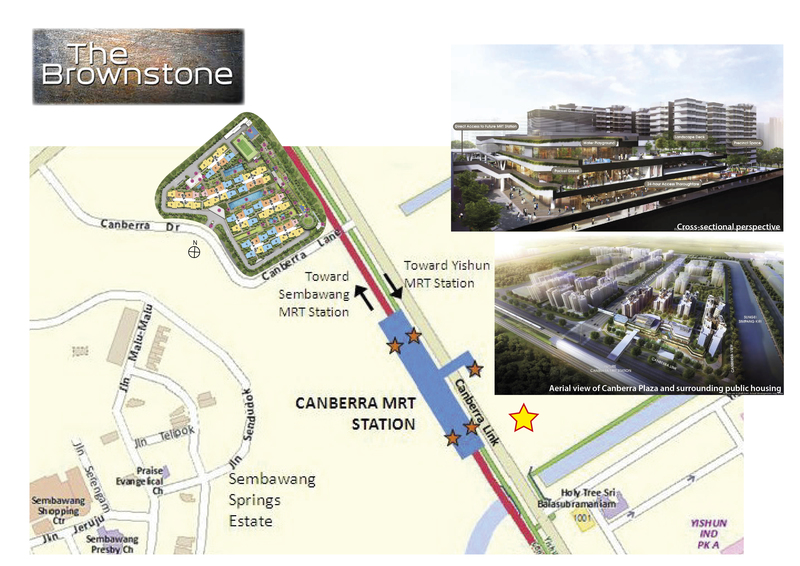 This will be the one-stop destination for all generations, especially for residents of The Brownstone. 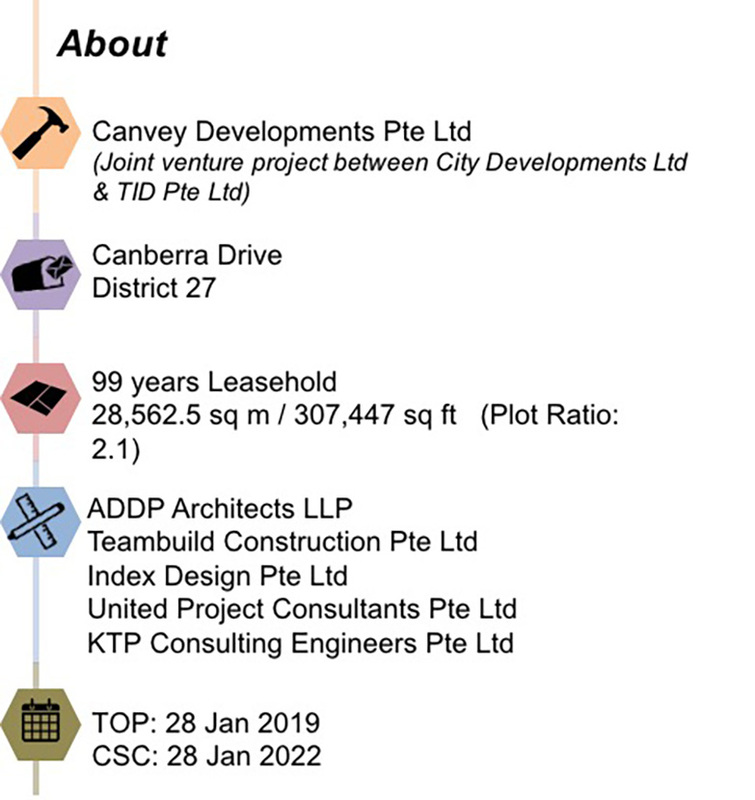 Eligibilty: Under Singapore Housing & Developments Board, there are conditions to be meet to be eligible for the purchase of Executive Condominiums. 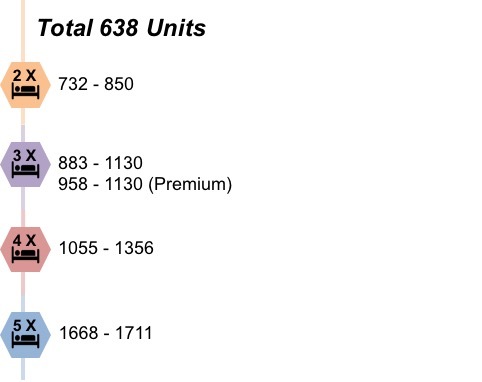 You may like to refer to HDBinfoWEB for eligibility criteria. Nonetheless, we are happy to provide non-obligatory consultation in this aspect. Contact A.S.K. @ +65 9818 2112, +65 8138 0190, +65 9329 5838. 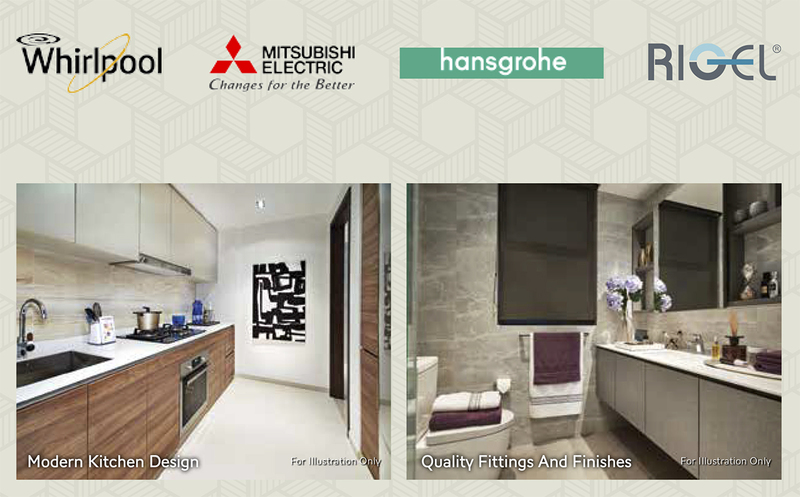 Enjoy hassle-free access to showflat by making an appointment with A.S.K. now! Alternatively, Just A.S.K. by filling the below form. 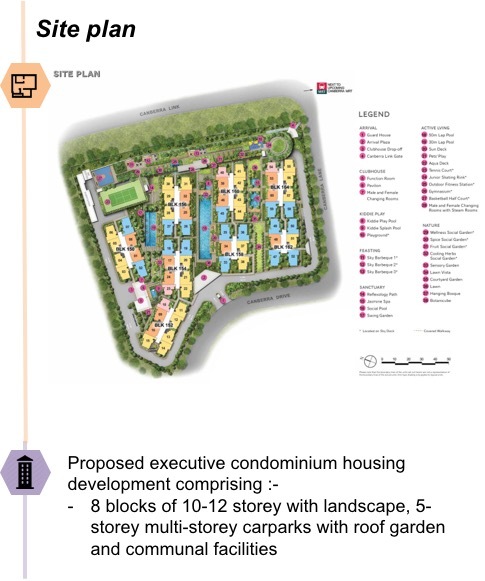 While every reasonable care has been taken in providing the information on this webpage, www.saleapartmentsingapore.com does not warrant the accuracy of the information and will not be responsible in any way for any inaccuracy or omission of information on this webpage or for any loss suffered by any person as a result of relying on the information. Visual representations like pictures, art renderings, depictions, illustrations, photographs, drawings and other graphic representations and references are only artistic impressions. They are not representations of fact and only meant for information. © Just ASK and saleapartmentsingapore.com, 2015. Unauthorized use and/or duplication of this material without express and written permission from this site’s author and/or owner is strictly prohibited.